If you're looking for Chevy truck wheels, you've come to the right place. 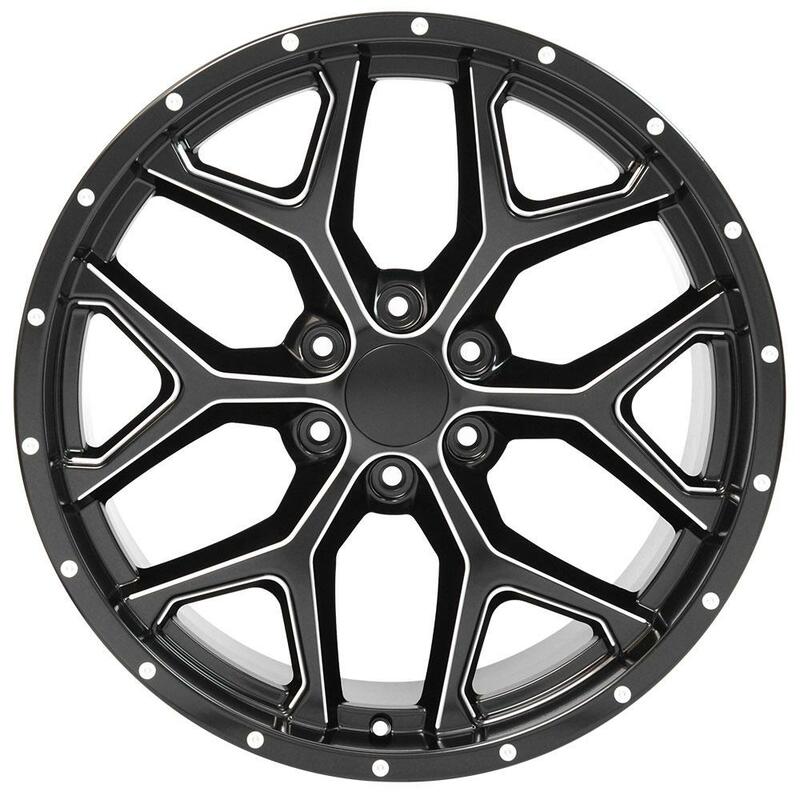 OE Wheels carries a wide range of replica wheels for Chevy trucks and GMC trucks, OEM Chevy truck wheels, and aftermarket rims for Chevy and GMC trucks and SUVs, including both 6 lug wheels and 8 lug wheels. 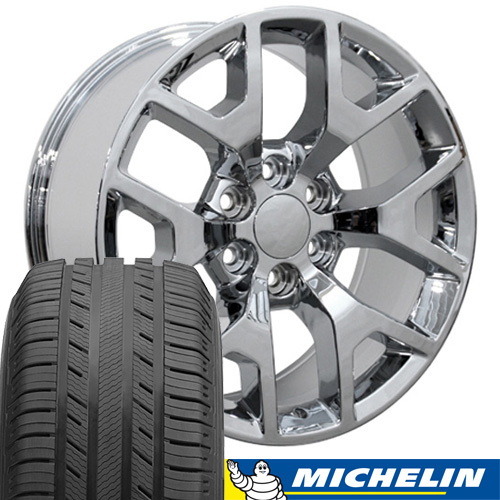 Click to view our extensive selection of Chevy truck wheels or simply enter the year-make-model of your Chevy or GMC at the top of any page. 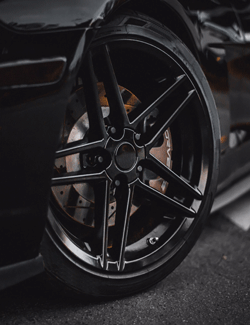 OE Wheels is an industry leader in the design, manufacturing and sale of replica wheels for Chevrolet Silverado, Chevrolet Tahoe, Chevrolet Suburban, GMC Savanna, GMC Sierra, GMC Yukon, and other Chevy trucks and GMC trucks. 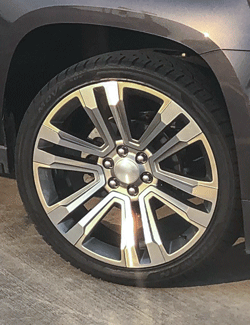 Our wheels include both 6 lug wheels and 8 lug wheels, and are available in many styles and finishes to add just the right touch to your GM truck. 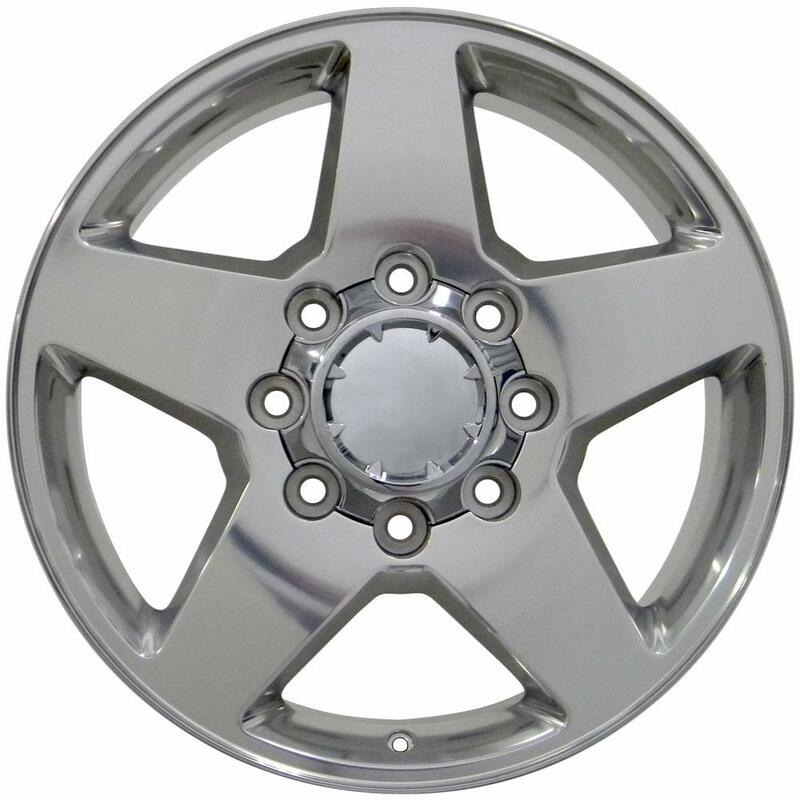 Click to view all our our Chevy truck wheels. 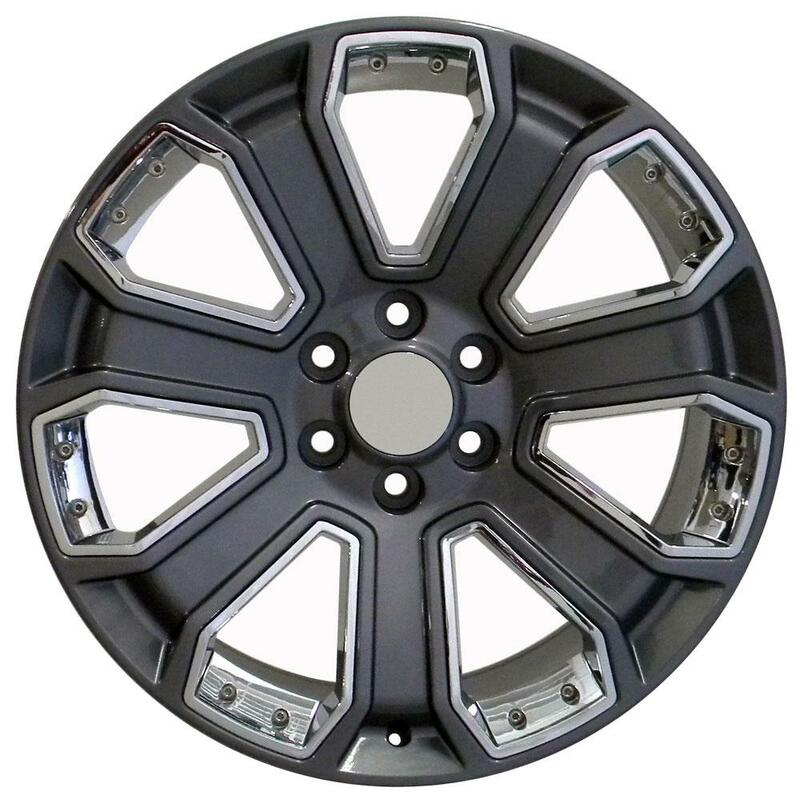 OE Wheels also offers great deals on OEM wheels for Chevy trucks and GMC trucks, These are original equipment Chevy truck wheels that are overstock rims or factory takeoff wheels. OE Wheels features exclusive 4Play aftermarket wheels for Chevy Trucks and SUVs. It's generally accepted that the first modern Chevy pickup truck was introduced in 1938 when Chevrolet added 3/4 ton and 1 ton models to the existing 1/2 ton and 1 1/2 ton trucks. Chevy continued to refine its truck lineup over the years, with some notable models including the El Camino (a car-based truck) introduced in 1959. The well known C and K Chevy truck prefixes were introduced in 1960 and remained in use for over 35 years. In the late 60's the V8 engine finally overtook the six cylinder engine in popularity, and Chevy trucks took another leap forward. The Chevy Blazer was introduced in 1969, the compact Chevy S-10 was introduced in 1982, and the Chevy Silverado (along with it's cousin the GMC Sierra) hit the market in 1998 to replace the long running C/K truck line. The Chevy Avalanche began production in 2001, and was the first time in a long time that a GMC model of a Chevy truck was not also produced. The mid-sized Chevy Colorado was introduced in 2004, and is now the best selling Chevy truck, winning the title of 2017 Edmunds Most Wanted and the 2017 Autobytel Buyer's Choice award. The Chevy Silverado is also a hugely successful truck, taking the J.D. Power Most Dependable Large Heavy Duty Pickup award for the third year in a row in 2017. 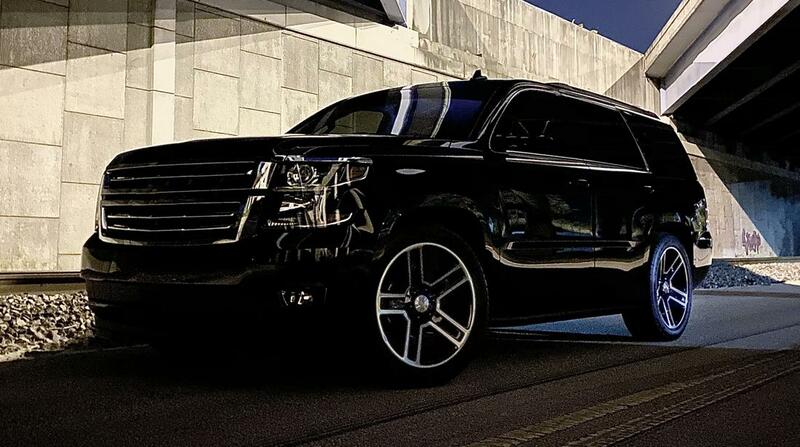 And throughout this illustrious history, Chevy truck wheels and GMC truck wheels have always contributed to the widespread appeal of these awesome trucks!